AutoEmag brings you the latest Aprilia Scooter Price in Nepal here along with their key specifications. Aprilia Scooters is one of the most popular scooters in Nepal among the girls due to its stylish looks and features. D–Lifestyles is the authorized distributor of Aprilia Scooters for Nepal.Aprilia offers 3 new scooter models in Nepal. Aprilia SR 150, Aprilia SR 125 and Aprilia SR 150 Race are among the popular scooters from Aprilia in Nepal. 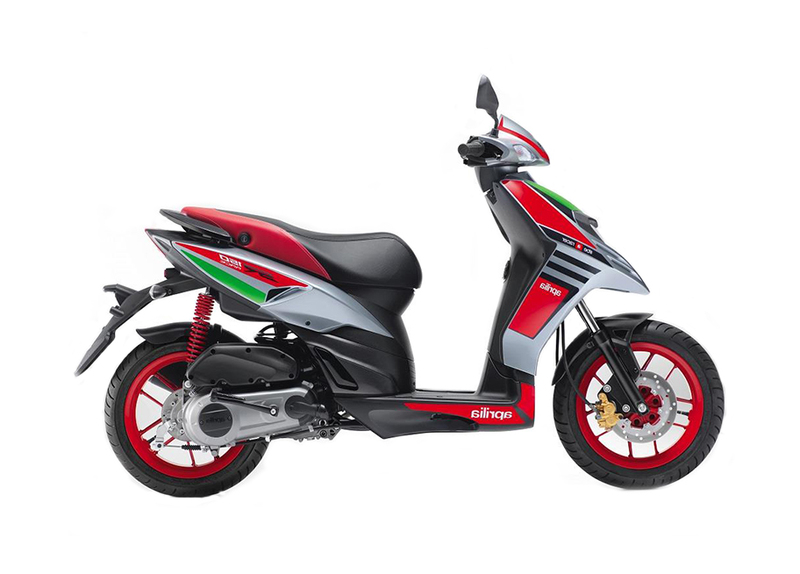 Aprilia SR 125 is the lowest priced model at Rs. 1,95,000. and Aprilia SR 150 ( Race Edition ) is the highest priced model at Rs. 2,56,900 in Nepal. Please Check out the latest Aprilia Scooter Price in Nepal on Autoemag with their features and specifications. The Price of Aprilia Scooter in Nepal mentioned below are provided by the authorised dealer and may change with the time. March 2018: Aprilia SR 125 is being planned to be launched by the authorized distributor of Aprilia D-Lifestyle with a price tag of around Rs. 1,95,000. in Nepal. As Aprilia SR 150, has been one of the most preferred and loved scooters in Nepal due to its Sharp and Sporty looks with powerful Performance.The New Aprilia SR 125 comes with an air-cooled 124.49cc engine with max p of 9.4 BHP at 8500 Rpm and a max torque of 8.2 Nm at 7500 RPM. Price of Aprilia SR 125 in Nepal : Rs. 1,95,000. D-lifestyles Pvt Ltd, The Authorised Distributor of Aprilia Launched the Aprilia SR 150 in Late December 2016 and Early January of 2017. The sporty appearance of Aprilia SR 150 is what grabbed the attention of Most People in Nepal. The Aprilia SR 150 is first of its kind, crossover scooter in the Nepalese market. Aprilia SR 150 is one of its kind, sports scooter that comes with a powerful 154.8 cc engine producing 10.4 BHP at 6750 rpm and 11.4 Nm at 5000 rpm. Aprilia SR150 Race Edition is the most powerful machine in its segment due to its powerful performance.The scooter claims a 100+ Kmph of top speed and weighs just 122 kg. Aprilia SR 150 Price in Nepal(Race Edition) : Rs.2,56,900. NOTE: The Price of Aprilia Scooter in Nepal mentioned below are provided by the authorised dealer and may change with the time. If you have any new information regarding any Aprilia Scooters or Aprilia Scooter Price in Nepal then, Please let us know through the comment Section or Contact us.